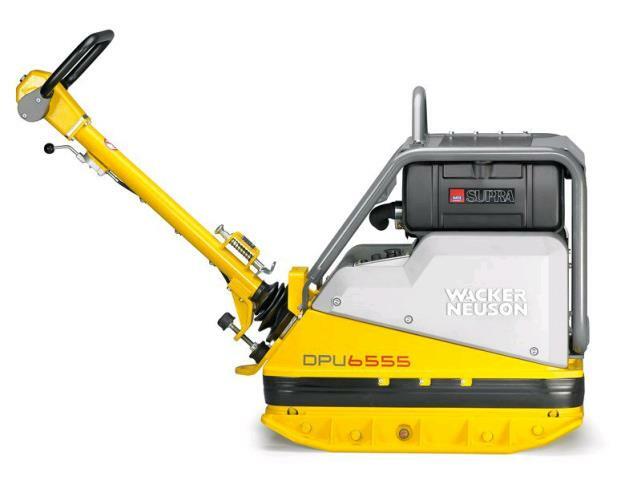 The DPU 6555 plate compactor provides you with the direct impact you need to compact tough soils, asphalt surfaces, sand and stone material over large surfaces. Whether utilized forward or in reverse you will get your site ready for concrete pouring in record time and prepare for building foundations and backfilling against supporting walls. It is safe and simple to use with an easy push and pull mechanism to control the direction of your plate compactor. * Please call us for any questions on our compactor plate lge fwd/rvs 500kg hire & rentals, serving Perth & Western Australia.